striking a pose in front of their very own Spoonflower-printed backdrop! Today we are so excited to introduce you to Starr Sink Ratto of Videri Chocolate Factory, a hand-crafted chocolate business right in our backyard of Raleigh, North Carolina. 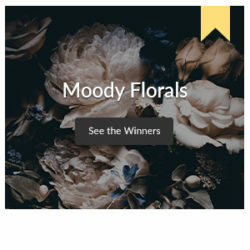 We’ve long been friends of the Videri folks, gifting their chocolates each year for the holidays, so we were thrilled when they offered to treat our designers to some chocolatey bliss! 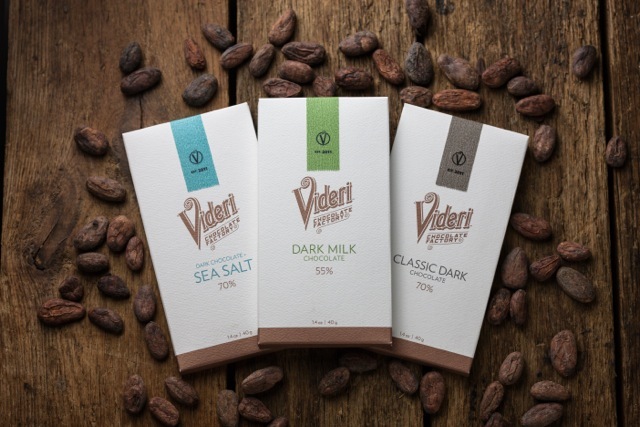 That’s right — the top 10 lucky winners of our T-Shirt Design Challenge (open for voting now) will be receiving a bundle of Videri chocolate bars. 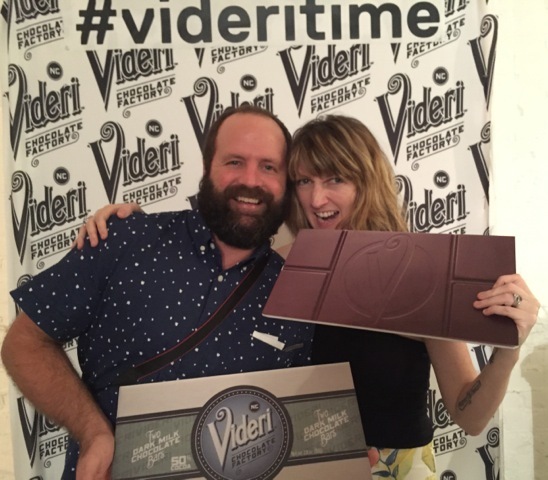 Get to know Videri a little better, (their Instagram is dangerous territory for sweet-tooths out there) in our quick Q & A below. 1. When and how did Videri get started? Videri Opened on December 15th, 2011 (about to have our 5th birthday!) fun side note: I found out I was pregnant on Dec. 23rd. That was not in the business plan. Ha. My son is four years old now, and likes to “work” at the Factory. 2. if you could describe your business’s personality in three words, what would they be? 3. What makes you proud to be an NC company? Although my husband Sam is from California, I am born and raised Winston-Salem, NC. I can’t imagine doing this anywhere else. We love our NC logo on our chocolate bars, and Sam often says, “I think I was Southern all along, but didn’t know it until we moved here in 2009.” The community support here often brings us to tears. Even though 2016 was a tough year to proudly display NC logos, we believe in our state and know that we are full of kind and loving people. 4. Milk or dark chocolate? The lightest chocolate we make is actually called a Dark Milk. It is a 55% cocoa content and the only one with Dairy. It is in between a dark and a milk, and it is the lightest Sam would make for me. I am a bit of a milk girl and I eat this one all day every day. He goes all the way to a 90% Dark Chocolate. That is dark dark and he LOVES it. It is our 2015 Good Food Award winner, as well. 5. What makes your products unique, and can you tell us how you source your ingredients? It is very rare to find an entirely bean-to-bar chocolate factory. When we opened in 2011 I think that there were about 35, nationwide. I think there are probably 125 now, which is still small but growing quickly. Sam loves to visit the farms where he sources the cocoa beans. We only use Organic and Fair Trade beans from central and South America. 6. 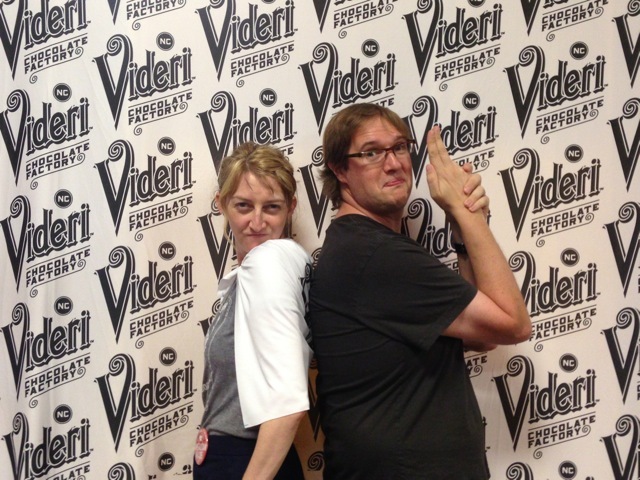 How do Videri and Spoonflower relate to each other? Other than the fact that we Love y’all, Spoonflower has had a huge role in Videri’s social world. We got a Spoonflower backdrop printed in 2013 and have used it countless times. It feels very red carpet and we love it. 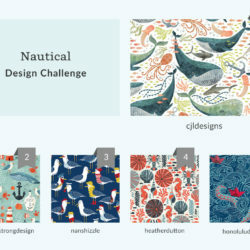 I tell everyone that asks about our wonderful neighbors at Spoonflower. 7. How do you come up with your flavors? Unfortunately, we are always have to taste new ideas in the name of R&D. There is never a day without some sampling. It is such drag. I am kidding, that is the best part of being in the Factory. Tasting. Our biggest challenge stems from the fact that we are a nut-free facility so if we want to add any crunchiness or roast flavors it must come from either the beans or from cocoa nibs. It makes it fun and interesting, and of course is so special when nut-free people find out about us. 8. Your packaging and design is so beautiful! How did that take shape and who is the designer? 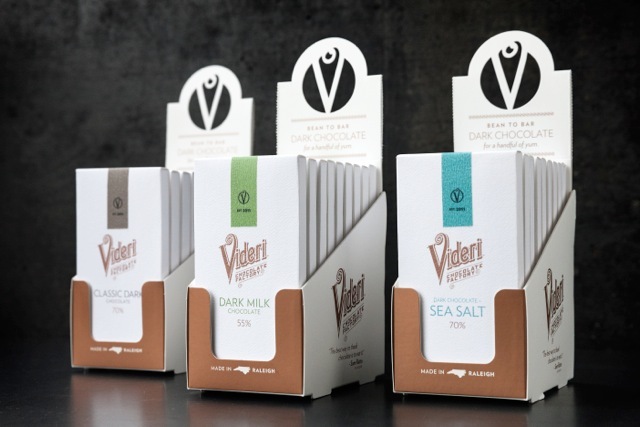 We have had two iterations of Videri Chocolate bars. Our first came from the awesome minds of the folks at Splinter in Chapel Hill. The newest one kept that original logo and went with a simpler look. That is with the help of the amazing team at Baldwin& here in Raleigh (actually right next door to us). I love to watch our brand evolve throughout the years. It is so exciting to work with so many amazing designers. For our 2017 Spoonflower T-shirt challenge, we’re having t-shirts printed in our backyard of Raleigh in NC by local screen printer House of Swank. 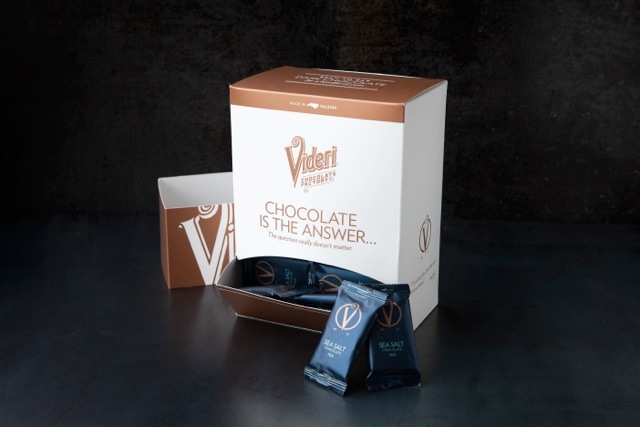 We are so excited to announce that the top 10 winners of our T-shirt challenge will receive a bundle of the three signature Videri chocolate bars ($18.00 value). How sweet is that? 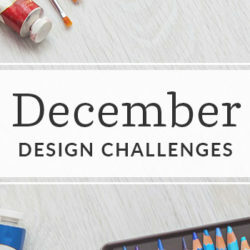 Our T-Shirt Design Challenge is now open for voting, and winners will be announced on December 1st. Miss out on this one? 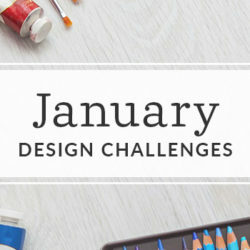 Check out the December design challenges coming up next. omg I’ve never wanted top 10 so bad…….